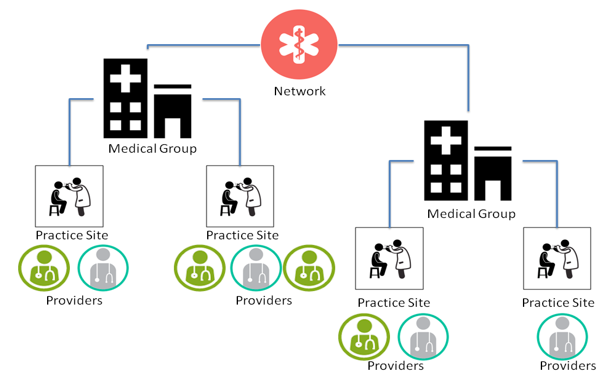 MHQP’s Massachusetts Provider Database (MPD) captures the structure of ambulatory care in Massachusetts and provides a location-based snapshot of Massachusetts providers. It is the only valid data source available that maps primary care and specialty providers statewide to the practice site, medical group and network in which they provide care. The MPD is updated and validated annually. The MPD is an essential research resource used by academic researchers, health plans, government agencies and provider organizations to link to other databases, including the MA All Payer Claims Database. 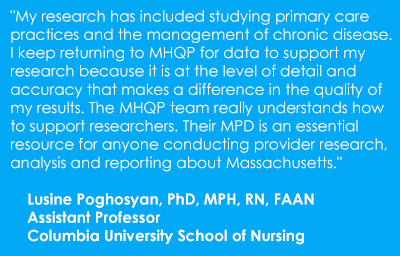 To discuss how the MHQP Massachusetts Provider Database can support your research, analytic or reporting efforts or to license the MHQP MPD for your research, analytic and reporting projects please contact Jim Courtemanche, jcourtemanche@mhqp.org or call (617) 600-4878. Why Should I Use the MHQP MPD? Leading researchers and public agencies have licensed the MPD, a trusted and reliable data set that is gathered and analyzed by MHQP, an independent, non-profit organization. MHQP’s experienced analytic staff works with clients to support full utilization of the MPD. What is included in the MPD?